I came across this at a University not long ago. This particular building has network issues, and I think I found the reason why. Yeah, thats right. You see that someone split the fiber. 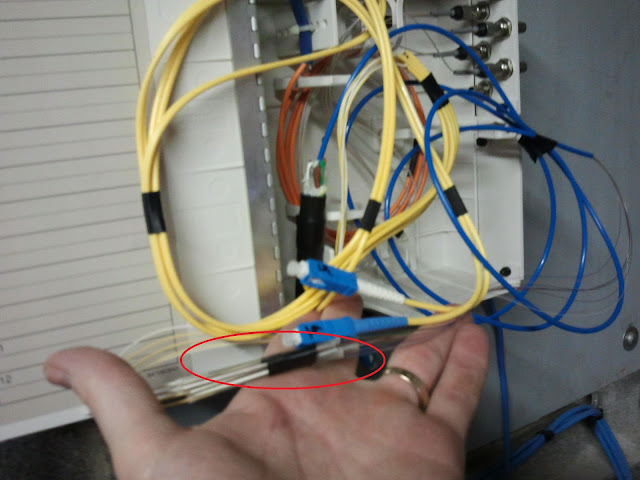 The blue is the cable coming in while the yellow is the "patch cable". Its like they never even saw the ports on the side of the box.